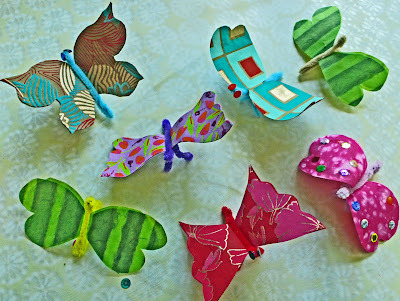 Make your own butterflies! The pictures provided below do not really express the sheer joy conveyed by a bevy of such winged beings. Hand-made butterflies are the perfect token to commemorate all manner of life changing events. The good-humored butterfly looks gorgeous as a valentine, great as a birthday greeting and delightful around the anniversary cake. 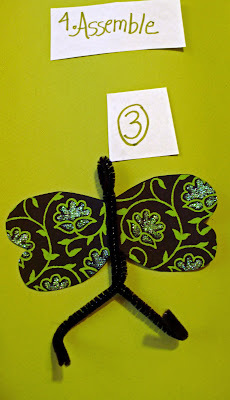 In short, it is appropriate to give a butterfly for any of life’s transformative events. 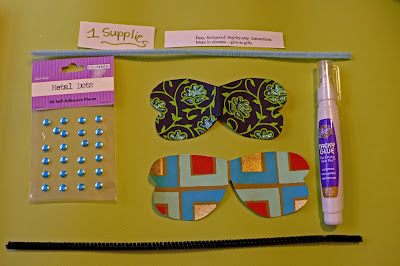 All you need is paper, scissors and pipe cleaners. In some cases a bit of glue. 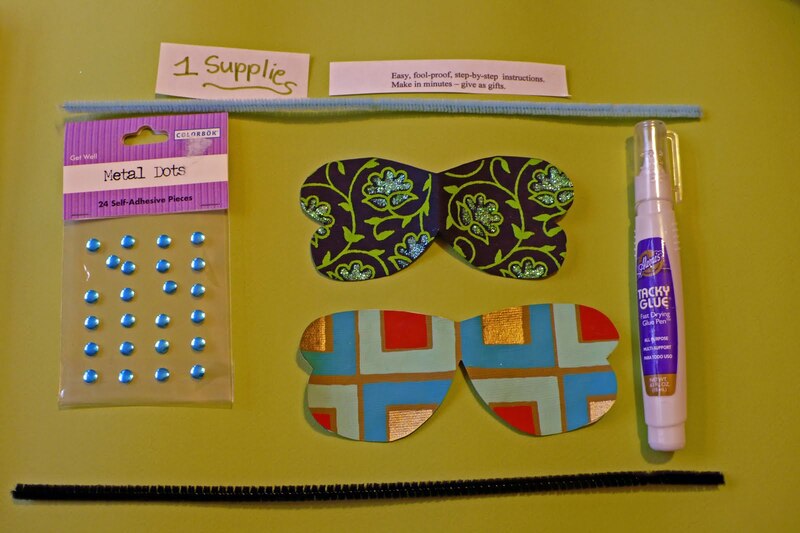 Or if you prefer, order a butterfly-making kit. 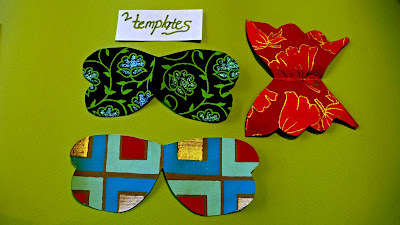 But do make the butterflies. Step 2: Enlarge these templates and cut out. The largest butterfly pictured on the bottom is about 5 1/2" across. 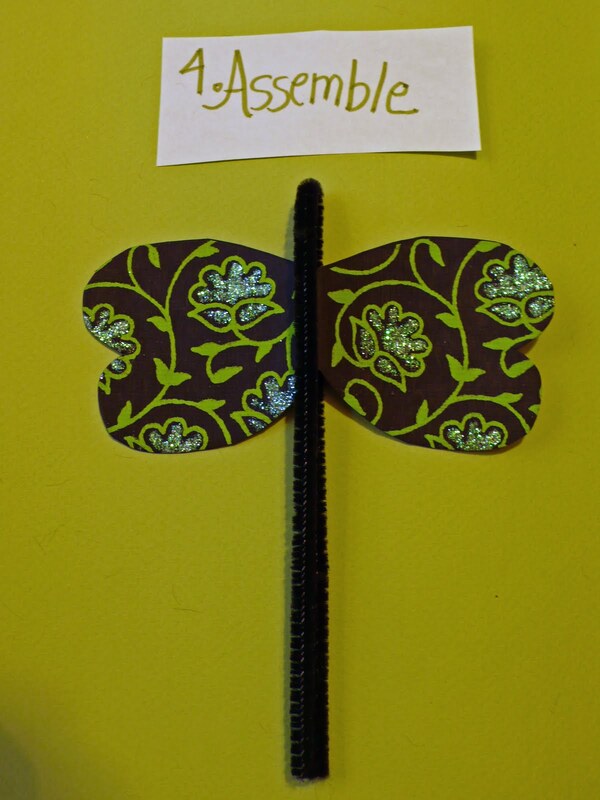 The green-black butterfly is about 5", the red butterfly is about 4 1/2 " across. Cutting is easiest if you fold the paper in half and cut both wings so they are precisely the same. 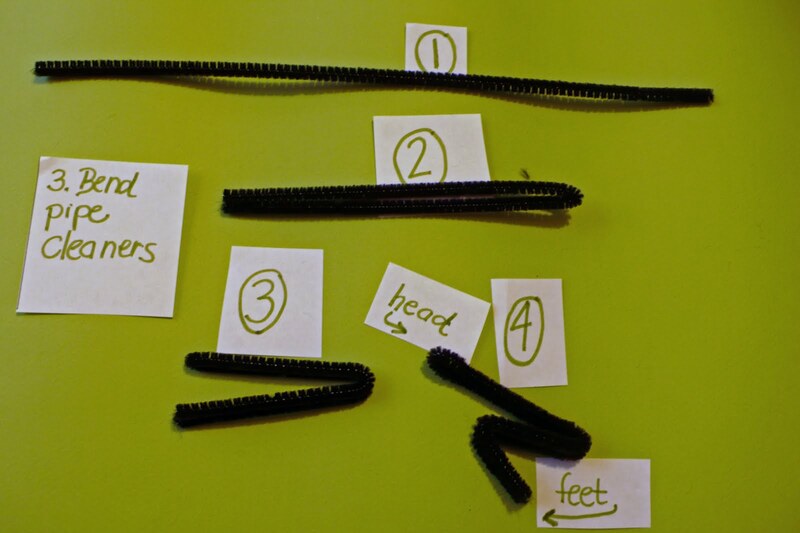 This picture shows the basic bending technique: in each step you are basically bending the pipe cleaner in half and then the halves in half. 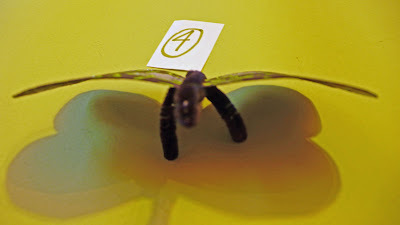 After bending once, the closed, rounded end of the pipe cleaner in picture 2/right side forms the head of the butterfly. The open ends (seen on left side of picture 2) become the feet. This picture explains how to bend the pipe cleaner without inserting the butterfly body. 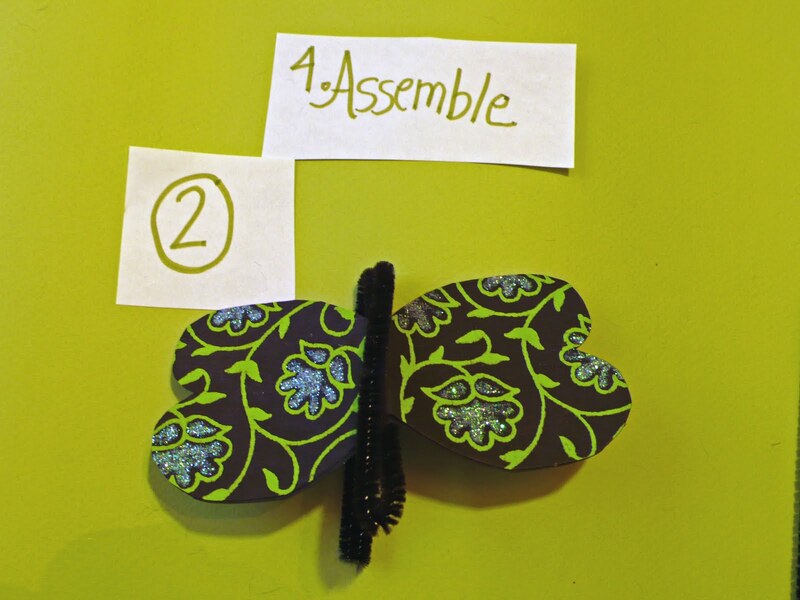 In your final version, the pipe cleaner is folded around the butterfly body in step 2. 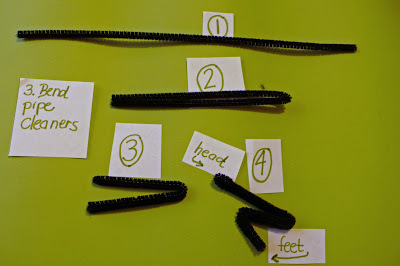 But practice bending the pipe cleaner and getting an idea of which side is head/feet before you do the final assembly. Slide the butterfly between your pipe cleaner, which has been folded in half. 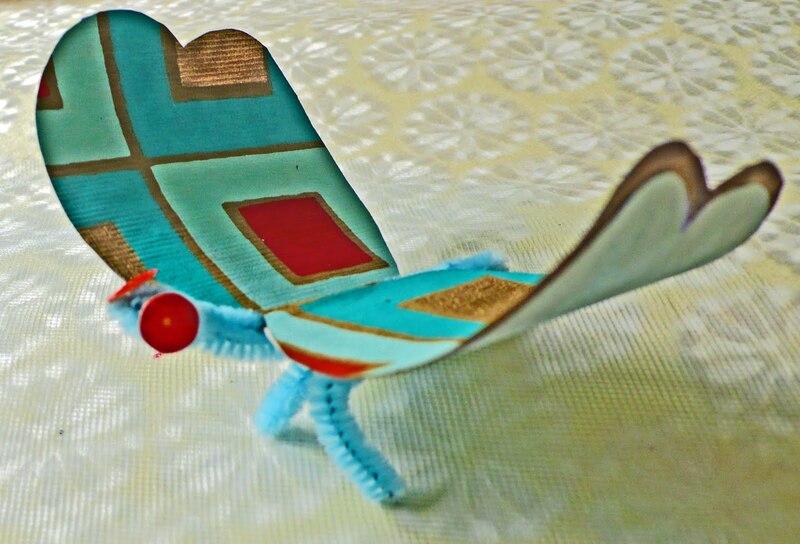 Move the butterfly toward the fold (head). Twist the head a bit to lodge in place. The next bend is roughly half the length of the pipe cleaner body. Here you can see the next bend: the legs have been bent below the butterfly's body. Here is another view of the final bending maneuvers. The head is twisted slightly. The tail-end of the body is also twisted across. The legs will be folded under the butterfly's thorax. 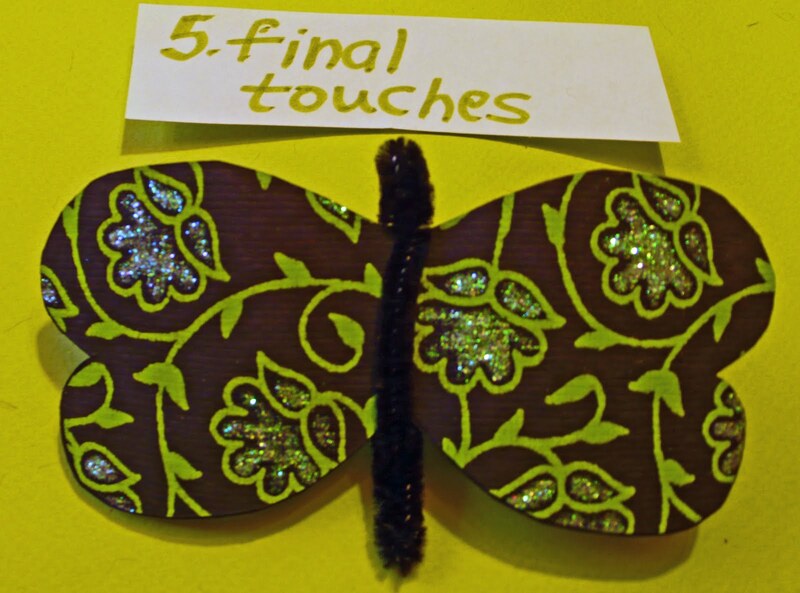 The final twists at the bottom form the butterfly's legs. The legs have been bent forward. Manipulate pipe cleaners until you like the way butterfly stands. At this point you might want to bend the head over once more and flatten, to give it a fatter look. Pipe cleaners are very forgiving. If you don't like the look, you can always undo it. 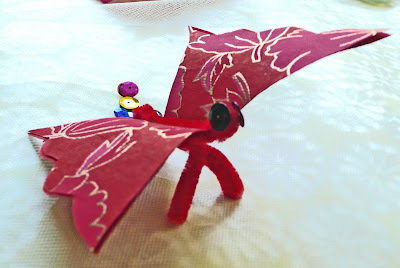 You also might want to bend the final legs over again to make them sturdier. Press together hard in that case so they fuse together. 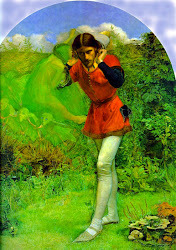 Click on picture to read fairy tales and saga. A very good resource for those interested in butterfly mythology. A FIRST READ. 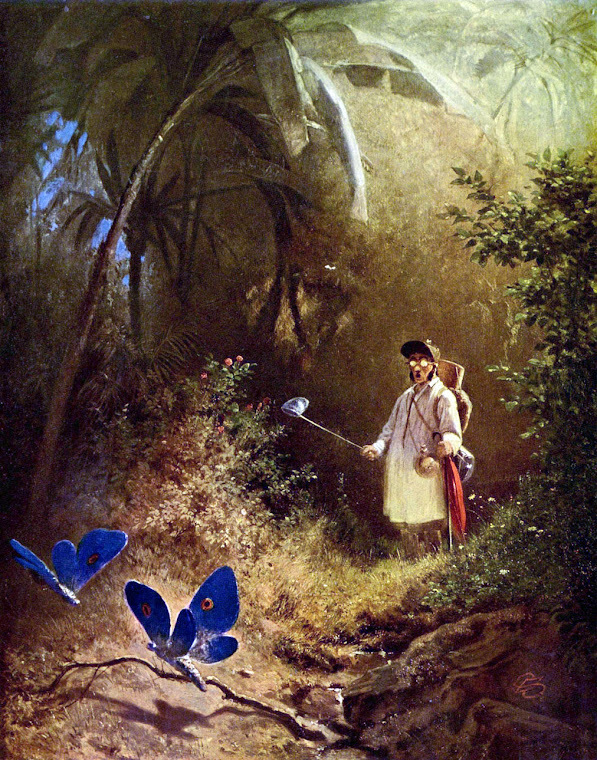 Interesting article about butterflies in poetry and literature!